You are here: HomeR&S Law Group, ACP ⁄ Family Law ⁄ Contested and Uncontested Divorce in California: What are the Differences? Contested and Uncontested Divorce in California: What are the Differences? When a marriage hits a point where there is no salvaging the relationship, many couples take the time to sit down with one another and determine whether divorce is the best options. This often makes things easier for everyone, as it can allow for both parties to find common ground and could set the stage for a more amicable, simpler divorce process. In our experience however, a simple and “easy” divorce takes more than just a mutual agreement to part ways. In California, divorces are categorized as either contested or uncontested. This post looks over the nuances of each type of divorce, helping you determine which course of action makes the most sense. Remember that for more specific counsel, we at the R & S Law Group, LLP are just a phone call away. As the name implies, an uncontested divorce is one where both parties are able to come to an agreement in all things relating to divorce proceedings. That’s right, there’s more to an uncontested divorce than a simple, mutual agreement to end the marriage. You and your soon-to-be ex-spouse need to see eye to eye on everything, including who gets what assets, how child custody and support are to be implemented, and how spousal support will be handled (if applicable). While uncontested divorce are certainly easier, quicker, and cheaper than other options, it’s not always the best choice. If you and your partner disagree on even a single issue, it’s likely that you are headed towards a contested divorce. Contested divorce is more common for a reason: this is where couples are unable to agree to the terms of the divorce, or even whether the divorce should take place. This is where the courts and the California justice system step in in order to help hash out all the details. In a contested divorce, the final say goes to the judge rather than you or your feuding partner, making it a riskier, more costly option. If the situation calls for it, however, there’s just no getting around it and a contested divorce might be the right choice for you and your loved ones. Everyone’s circumstances are different, which is why there is no one-size-fits-all solution to divorce in California. That said, your first step when dealing with divorce, child custody disputes, or any other matter relating to family law in California should be to reach out to a qualified attorney. 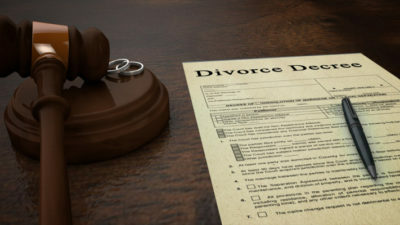 If you see a divorce in your near future, do not hesitate to reach out to us at R & S Law Group, LLP. Our seasoned attorneys are standing by, ready to provide you with the assistance that you need during these trying times. Call today to schedule a free initial consultation with an experienced family law attorney.